It’s common sense to view your department that way. Just as you don’t pay your grocery store for its rent and compensation costs, the enterprise doesn’t give you money (in the form of a budget) to pay your costs. You get money to “buy” your services – whether or not you actually charge customers directly. Running a training department as a business has far-reaching benefits. To earn a customer’s business, you’d better offer a good deal or they’ll go elsewhere. The business-within-a-business paradigm induces efficiency and frugality, since employees know they have to remain competitive. Beyond just efficiency, you must offer a range of relevant, innovative and high-quality services. The paradigm encourages innovation and creativity, since entrepreneurs are eager to find new ways to add value and grow their businesses. And, of course, you must deliver impeccably on every promise. Business owners are accountable for results, not just for managing resources and processes. Furthermore, you must build effective partnerships with your customers and contribute to their business objectives. Employees learn to be customer focused. The business-within-a-business perspective also creates empowered, developmental and fulfilling jobs. Employees own their own little businesses and learn to manage them. Virtually every performance objective for a training department is satisfied when it’s run as a business within a business. An entrepreneurial training department wants to be the “go-to” place for all things training. You want market share. So, you want to build the habit of buying training through you, not around you. That means you generally wouldn’t refer customers to external training vendors, especially for topics that are of general interest. Instead, you sell the training internally and use vendors in combination with your internal resources to fulfill those sales. You’re a value-added reseller, not a broker of external training services. This way, whether you “make” or “buy,” you can provide training on virtually any topic, and there’s no limit to your resources. Your only constraint is your customers’ ability to pay for the training they want. Of course, you must accept accountability for the quality of your services, even if you’ve hired a contractor or vendor to deliver them. Entrepreneurs manage vendors as part of their staff. Build the habit of buying training through you, not around you. Your budget is the enterprise’s way of paying for your services (not paying your costs). So, think of it as prepaid revenues – money put on deposit with you at the beginning of the year to buy your services throughout the year. Of course, your services have a cost. Those revenues (provided in your budget) only pay for a finite amount of services. This paradigm, described in my book, “Internal Market Economics,” solves many problems. For example, if you’re forced to cut your budget, the enterprise will have to decide which services it will forego. And if customers want more than your budget buys, they’ll have to find incremental money to pay for additional services. Thus, expectations match resources. And while you always strive to be more efficient, there’s no magical “do more with less” in your budget negotiations, or arbitrary limits like last year, plus or minus a percentage. In business, “you get what you pay for.” So, constructive budget discussions focus on the needs of the business, and executives learn to appreciate the value you deliver. Once decided, your budget creates a checkbook. Then, a customer-driven governance process decides which checks to write (which of your services to fund within the constraint of your budget). Customers like being empowered to decide what they’ll buy from you. They’ll naturally buy what they most need, aligning your department with their strategies. Thus, you’ll deliver greater value to the business. Perhaps most fundamental to internal entrepreneurship is your organizational structure. Jobs must be defined as businesses (not the traditional roles, responsibilities, processes and tasks). 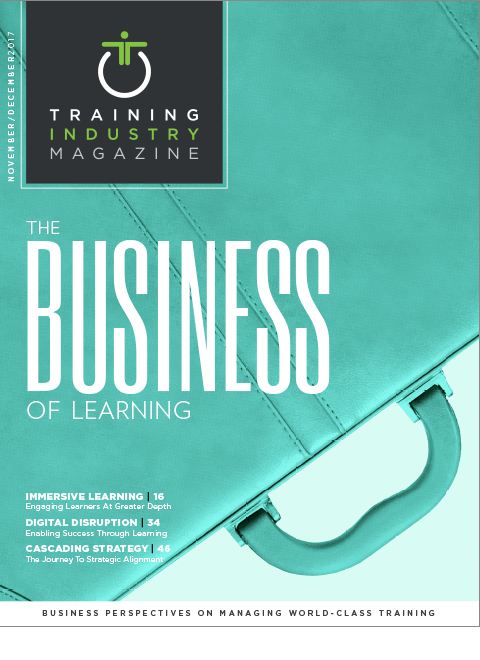 So, what are the businesses within a training department? Service Providers produce an ongoing stream of services. They keep things running. Engineers design, build, repair and support solutions. They’re gurus in technologies and disciplines. Coordinators help stakeholders agree on shared decisions such as policies and plans. Sales and Marketing build relationships with customers and help them discover how training services can add real value to their businesses (sometimes called strategic alignment). Auditors inspect and judge others, and sometimes veto their decisions. Service Providers: course administrators, training facility owner-operators, professional certification facilitators, course sponsors and topic-independent teachers. Engineers: curriculum design experts and, occasionally, SMEs in the courses that are routinely taught. Coordinators: professionals providing business planning for the training function itself, standards coordination and enterprise-wide training policy coordination. Sales and Marketing: relationship managers assigned to each business unit in the enterprise. Auditors: hopefully, none of these, since judging others is incompatible with serving others. It also helps you avoid impossible jobs. You can spot groups that are trying to cover too many different businesses, instead of focusing on excellence in one thing. You can also see conflicts of interests where incompatible businesses are combined in one group (like a Service Provider who keeps things stable, combined with an Engineer whose job is to drive innovations). Applying this framework to your organization also ensures that every line of business is covered somewhere. Even very small training departments are expected to deliver all the same services as big ones, so they need to ensure that every one of these lines of business is covered by someone (even if it’s fulfilled using contractors and vendors). Sorting out individuals’ lines of business also clarifies teamwork by defining who “sells” what to whom within your department. Getting your employees to think and act like entrepreneurs takes more than arm waving. Systemic change in your organizational “ecosystem” is generally required. The two most powerful organizational systems are resource-governance processes (which I call the “internal economy”) and organizational structure (its organization chart and cross-boundary teamwork processes). Other organizational systems include culture, methods and tools, and metrics and rewards. To get started down the path to an entrepreneurial training organization, decide which organizational system to work on first. It’s best to start with one of the two most powerful systems (internal economy or structure), and then adjust the other organizational systems later. This delivers more change early in your transformation process, and reduces the systemic pressures against the change. So, if you are most concerned about your budget (e.g., expectations beyond your resources) or giving clients control over your priorities (demand management), then start with your internal economy. On the other hand, if you’re more concerned about your employees not understanding that they’re in business to serve customers, then start with structure. System change in either your internal economy or structure will help you develop a training department that’s the “vendor of choice” to your customers and the “employer of choice” to training professionals throughout your community. Dean Meyer is an organizational engineer, author, consultant and executive coach. He has advocated running shared-services organizations as businesses-within-a-business for over 35 years, and has implemented this paradigm in dozens of corporate, non-profit and government organizations using participative, principle-based transformation processes.